Reptiles are lovely creatures, and recently owning them as pets has, quite understandably, been growing in popularity. However, there are some realities that are essential to consider before you jump into such a decision, and there are a few do’s and don’ts you need to make sure you’re ready for. Firstly, you must expect to spend more on the enclosure and the equipment than you do on the animal; a reptile as a pet is similar to keeping a fish – most of the money you spend will go on its environment rather than the pet itself. The tank costs hundreds, but it is vital that you don’t skimp – if you’re really ready to own a reptile then you must be willing to make the commitment. Furthermore, reptiles need veterinary care, so it is important to line up a knowledgeable vet with a good reputation before you bring your new friend home. Your pet should be checked by your vet before you place it in its lovely new living arrangement, so that you don’t discover the creature has parasites and render your expensive enclosure unliveable. You should have an almost quarantine like enclosure set up to keep your reptile in before you get it checked, to keep your planted new enclosure ready for the healthy lizard. 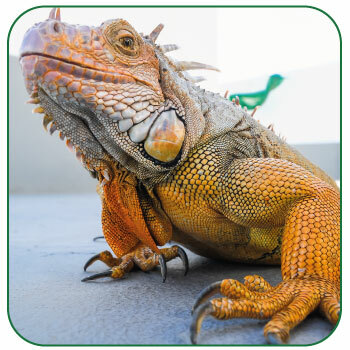 You must read reputable and, importantly, recent books on reptile care, as well as online care forums (make sure they’re reliable and acclaimed), and make sure you know all the information available about lizards in general and particularly about which species you want to choose. Be prepared for the responsibility. Reptiles can live for a lot longer than you might originally expect – even the common gecko can live for 20-30 years. You must take this into account and understand that this is a long term commitment, not a short term pet. You should never, ever get a reptile that you are unwilling to look after for its whole lifespan, and similarly you can’t simply get rid of it if it gets too large. Reptile rescues and zoos are crammed full, as the species that are available for you are mass produced, so they aren’t easy to just get rid of. You must be committed to looking after this creature for its entire lifespan, and you must be prepared for whatever size it could grow to. Furthermore, it must be stated that if you’re looking for affection, a reptile isn’t the pet for you. They will, at best, tolerate interaction, and at worse, hate every second of it. They do have individual personalities, and might even appreciate you, but they probably won’t enjoy being petted and they will not form emotional bonds. In all honesty, they need to be left alone the majority of the time – over-handling creates stress that could be detrimental to their health, and they definitely need to be left alone for the first month of being in their new cage (except for cage cleaning). While there may be the occasional reptile that appears to enjoy being petted, they are few and far between, and you should in no way expect this from your pet when considering buying one. Lastly, take your time. There is an awful lot that needs to be considered before you commit to such a responsibility, and you have a lot to learn, and a lot to buy, before you’re ready to own your own reptile.